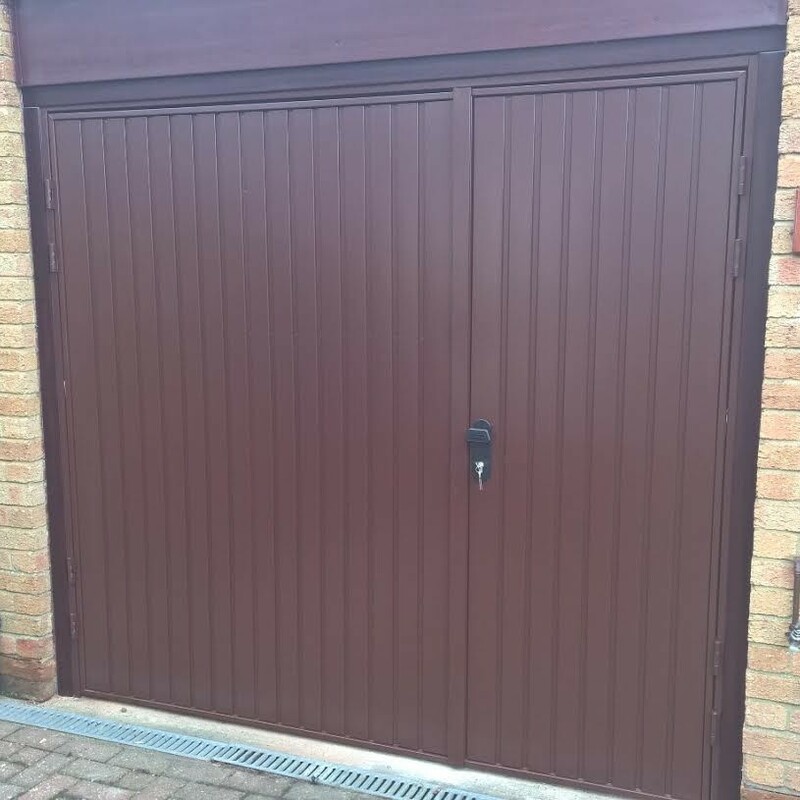 This beautiful burgundy roller garage door was installed in Wendover, Buckinghamshire after another of our customers recommended us to their friend (earning themselves a £25 Marks & Spencer voucher in the process!). 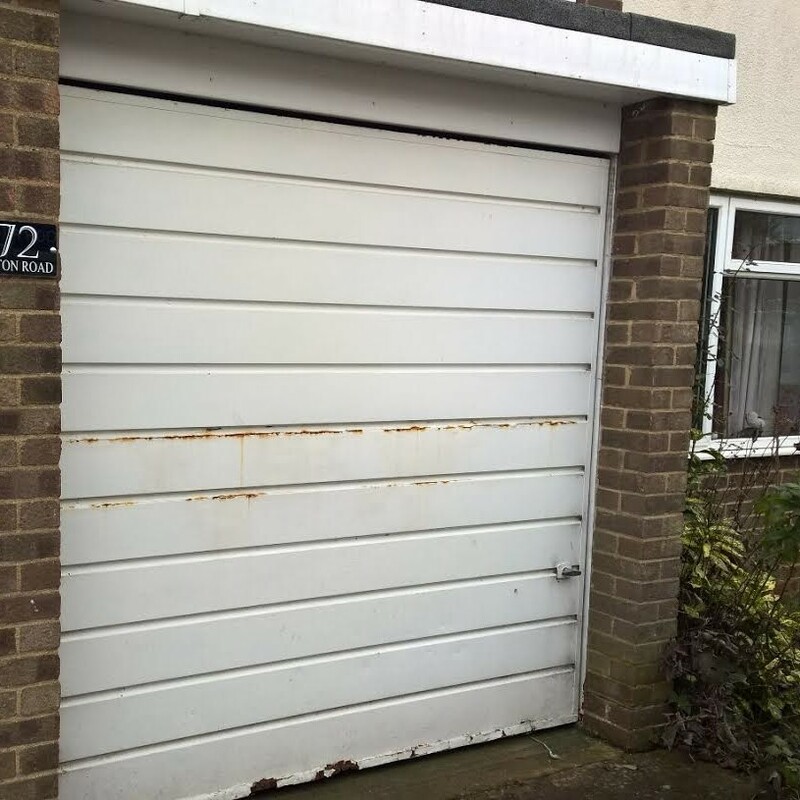 The garage door not only provides insulation and automation at the press of a button but gives the property a lift, replacing the old tired looking yellow steel up and over door. 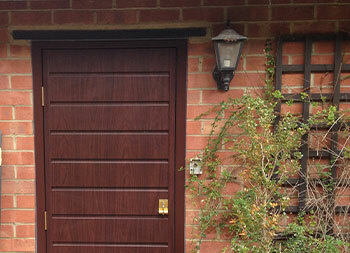 This garage door installation in Milton Keynes, Bucks comprises of two Cardale Bedford design up and over garage doors. The customer contacted us after viewing similar designs by other manufacturers they knew they specifically wanted the Cardale ‘Bedford’ design. 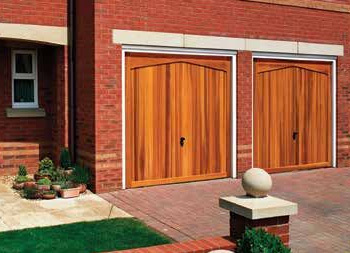 Cardale has more than 50 years experience in the industry, they introduced the concept of the ‘panel door’ from which the majority of today’s garage door designs are derived and they were the original manufacturer to design the Bedford up and over door, the first to mimic the appearance of traditional side hinged doors. For this garage door installation in Milton Keynes our customer chose to have one door on a canopy lifting gear and the other on retractable lifting gear. 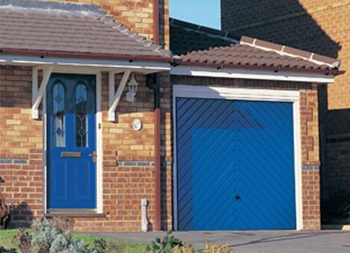 Canopy doors are the most popular style of lifting gear in the UK where as retractable provides an alternative lifting mechanism where horizontal tracks are attached to the top of the door frame to guide the door open, providing an exceptionally smooth opening and closing action. 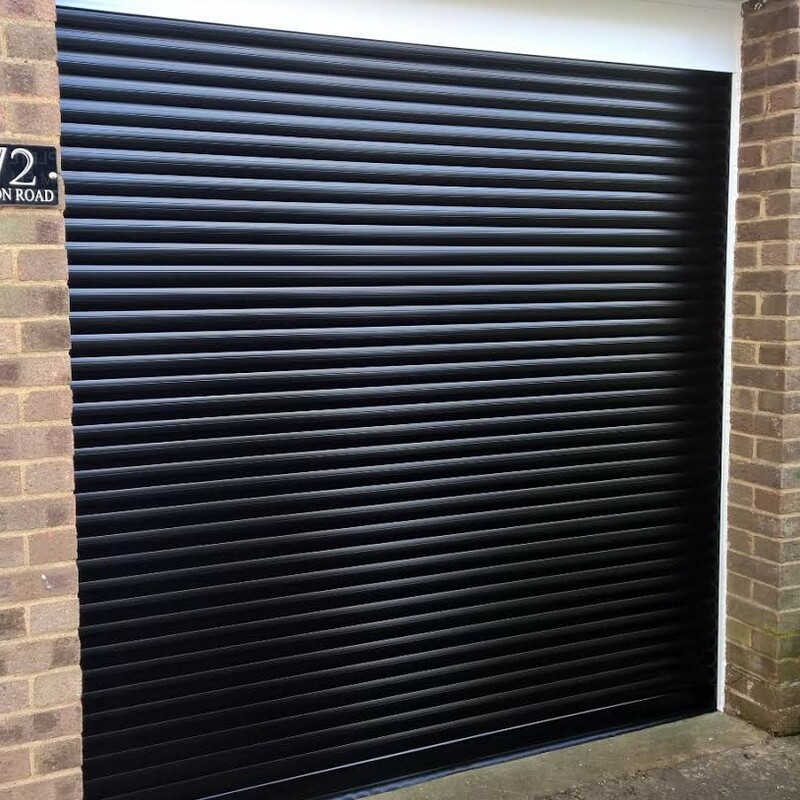 Retractable doors are ideal for automation and so we installed a Novomatic 553 Motor to the retractable garage door, providing the customer with the luxury of operating the garage door via remote control. 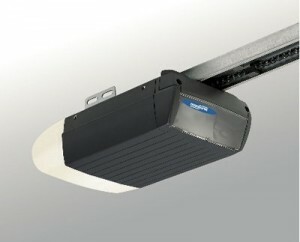 The Novomatic 553 provides an ultra-reliable, near silent belt drive operator with additional courtesy light and internal quick release. The opener can be enhanced with extra handsets, mini wall mounted push button controllers, key switches and coded keypads. The next step was for the customer to chose from Cardale’s glazing options. 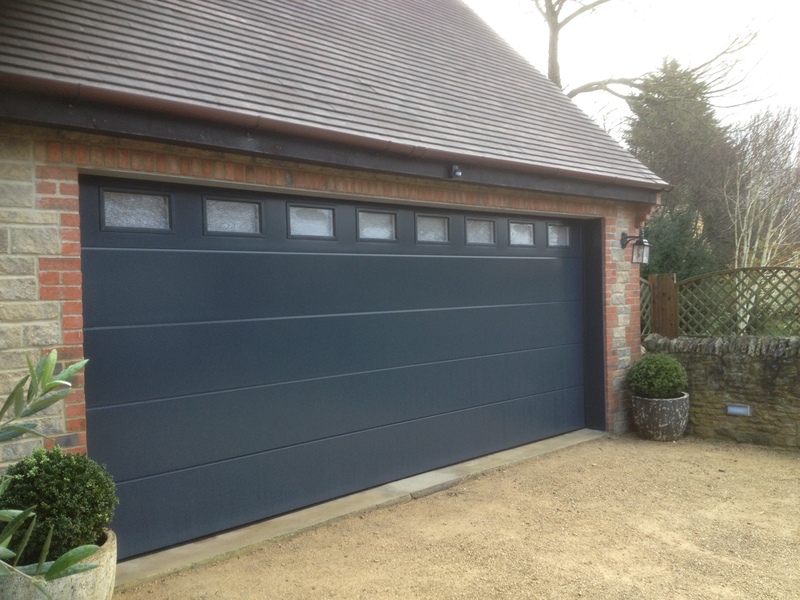 Bedford design garage doors come with black windows as standard. Other options include square lattice, stippled, diamond lattice, transparent and Queen Anne. Our customer chose stippled. And the finishing touch to this garage door installation is the Aluminium Silberfarbig Eloxiert handle. Cardale up and over doors come with a black handle as standard, but if you are looking for the extra ‘wow’ factor these handles are the ones to choose. 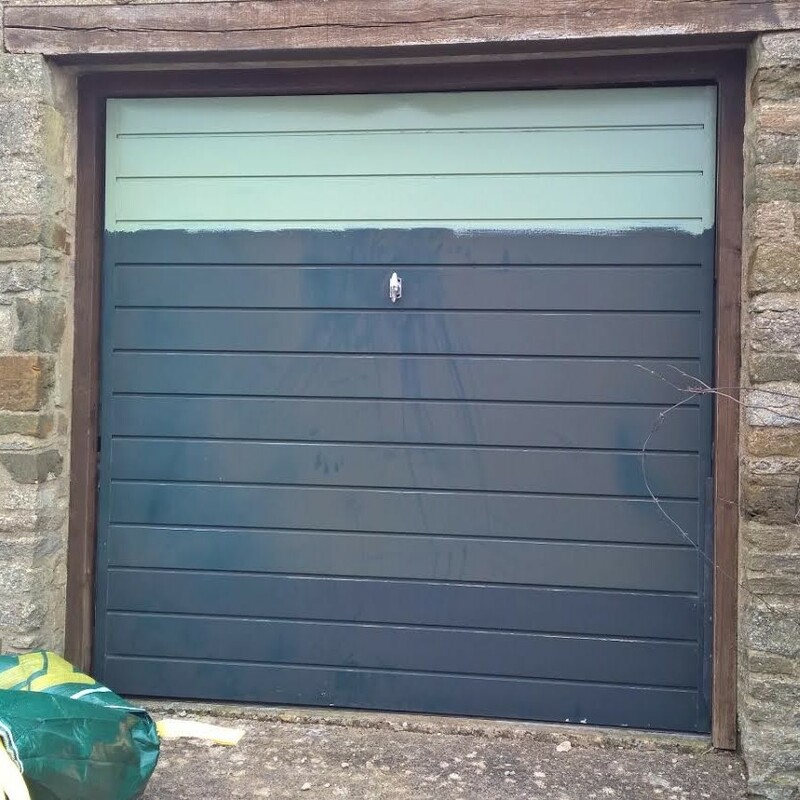 This stunning Novoferm iso45 Flush Smooth Sectional garage door with windows was installed in a village near Bicester, Oxfordshire. 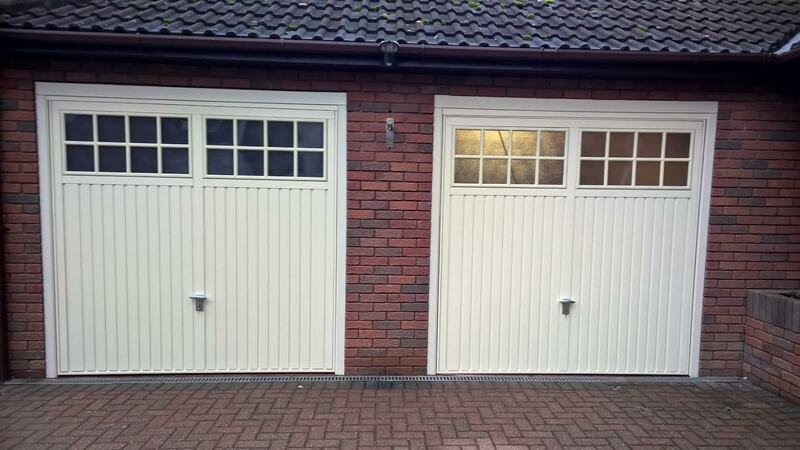 Our customer wanted to increase drive through width of the garage as they originally had two timber up and over doors. Their builder removed the doors and fitted a steel RSJ above to allow for the one, larger sectional door to be installed. 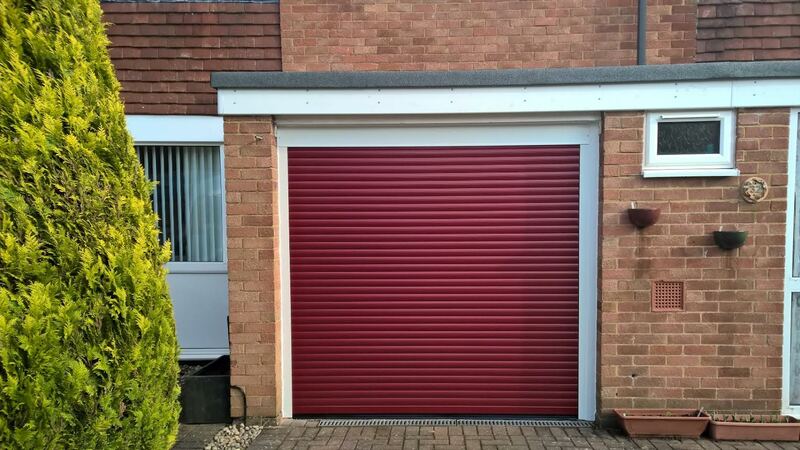 At almost 18 foot wide this door is pushing the maximum width available for our residential sectional doors. To keep natural light in the garage, the customer chose frosted windows to the top panel and for ease of use, we added a Novomatic 553 motor so the door can be operated via remote control. 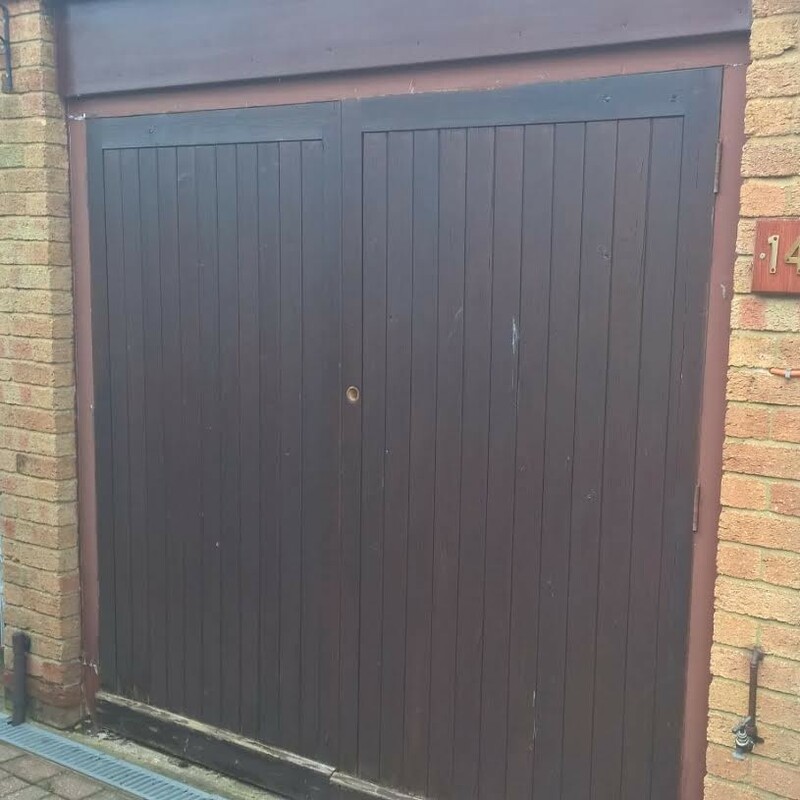 Installed for MJD Homes to a property in Sulgrave near Brackley, this Cardale/Novoferm Gemini Steel Canopy Garage Door was fitted to the existing timber frame. 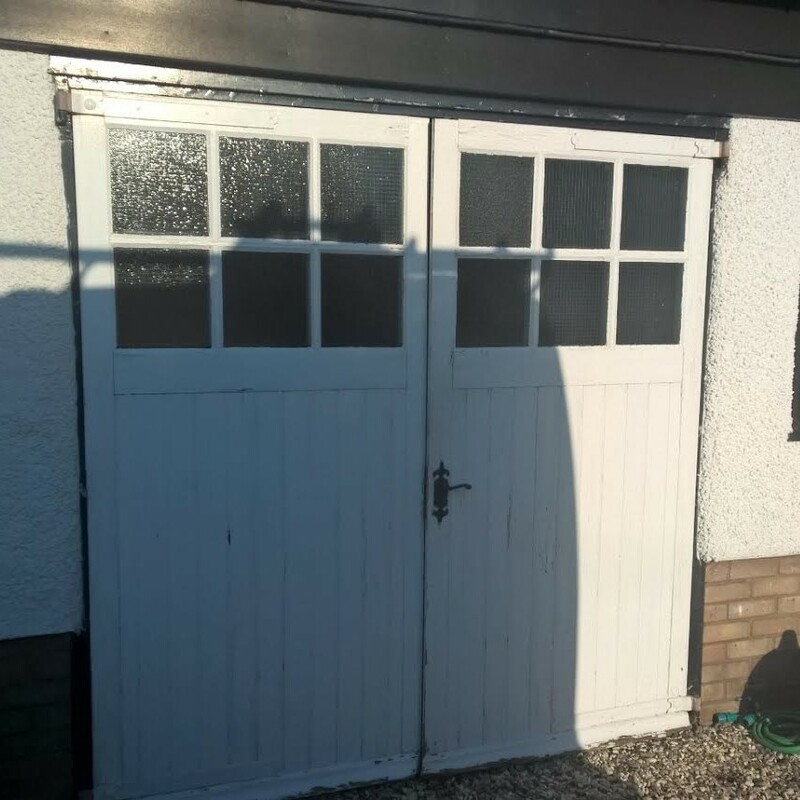 The door provides our property developer with a much improved aesthetic to the garage at an affordable price which won’t break their budget. 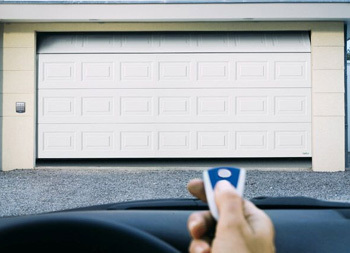 From first contact we strive to provide property developers with an all encompassing solution, taking the garage door off their hands, we can provide advice on the best door and fit for the opening. 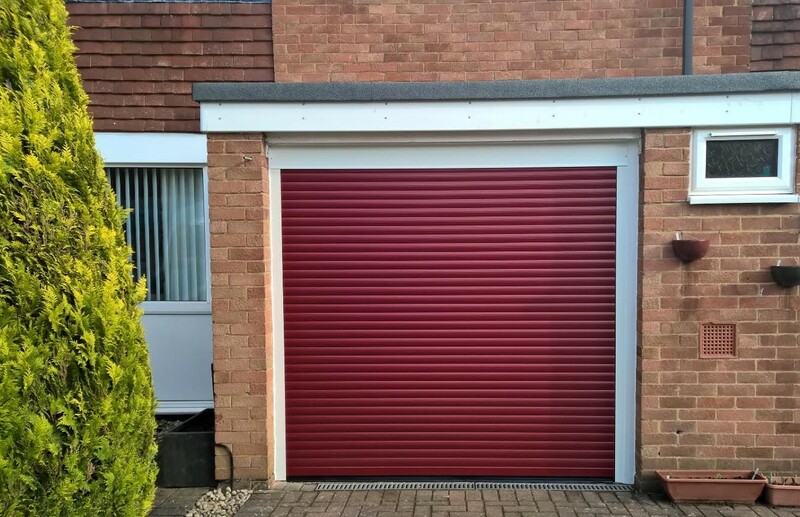 The price of a garage door very much depends on size and just one inch can make a difference of over £100 depending on the style of door required. 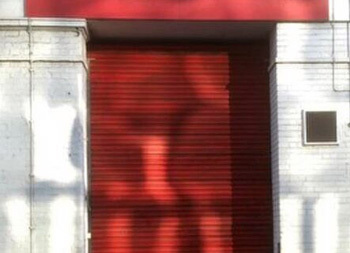 We pride ourselves in providing cost effective solutions and for many of our customers we provide brickwork opening sizes to build to, to ensure the door required comes in on budget. 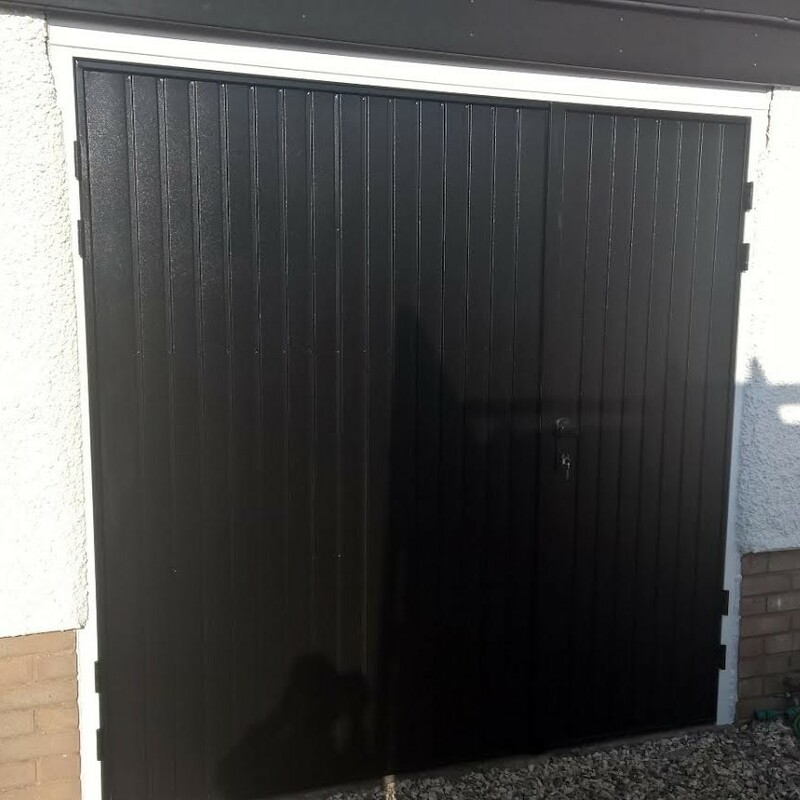 All our garage door installations come with a twelve month fitting warranty and all our doors come with a 10 year manufacturer warranty as standard. 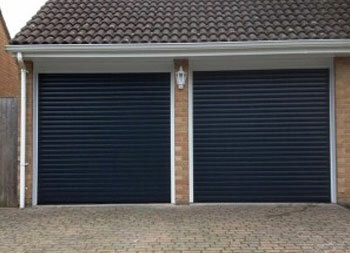 By instructing us to supply and fit your garage door we can not only save you time and money but also, in the unlikely event there are any issues, we will take care of this for you, leaving you to concentrate on your next project. To find out more about how we can help your business, give Mark a call on 01295 272370 or 07833 465452. 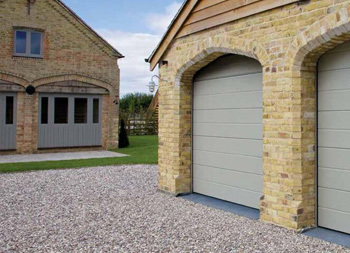 Stylish, practical and of excellent quality, the Cardale steel side hinged range provides a traditional garage door look with modern day features. 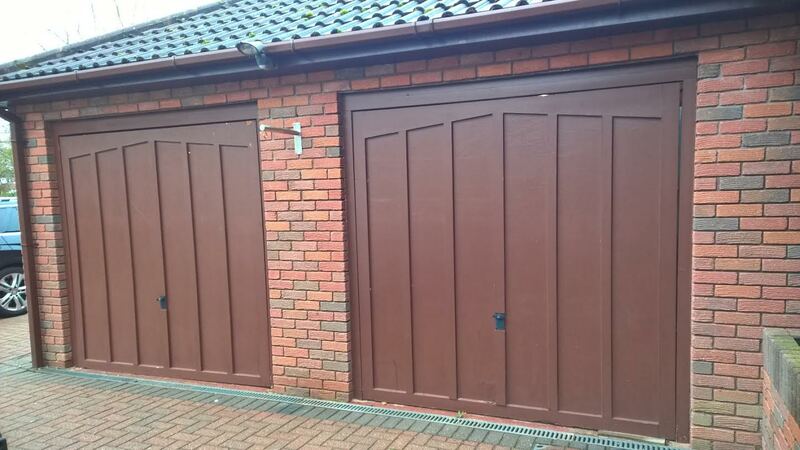 The steel doors are fully finished in powder coat paint, in the colour of your choice (our customer chose Conker Brown). The deep textured paint finish is incredibly durable and resistant to scuffing and comes with a ten year guarantee, so no sanding/painting like your old timber doors, these simply need a wipe down with a soft, damp cloth. The Gemini (shown here) design comes with your choice of a 50/50 or 70/30 split. 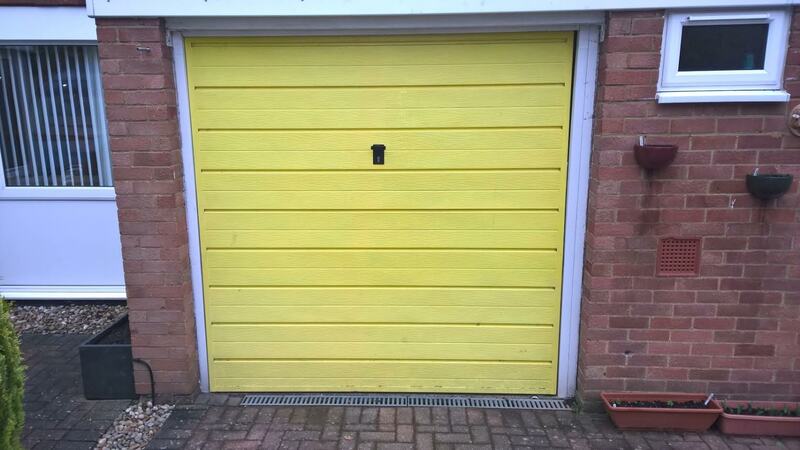 For this garage door in Wantage our customer chose the 70/30 split. The two thirds/one third side hinged door was designed with lawnmowers in mind and gives you the option of just opening the smaller door to access garden equipment, bicycles and more increasingly, mobility scooters! 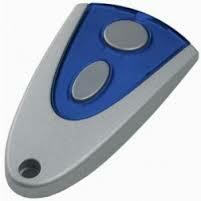 Our customer chose right hand opening, which is standard, but we also offer left hand opening if preferred. Doors open outwards only and door stays are also fitted as standard to prevent the door opening further than 110 degrees. 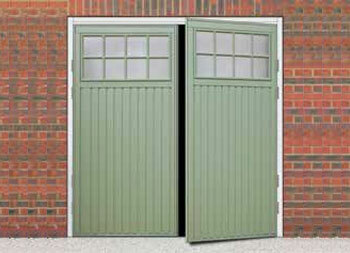 All side hinged doors are supplied complete with a fixing frame, again painted in the colour of your choice. Not keen on the painted finish? Our steel side hinged doors can also be produced in laminated Golden Oak or Rosewood, perfect to match in with the increasingly popular uPVC windows which many of our customers have installed. 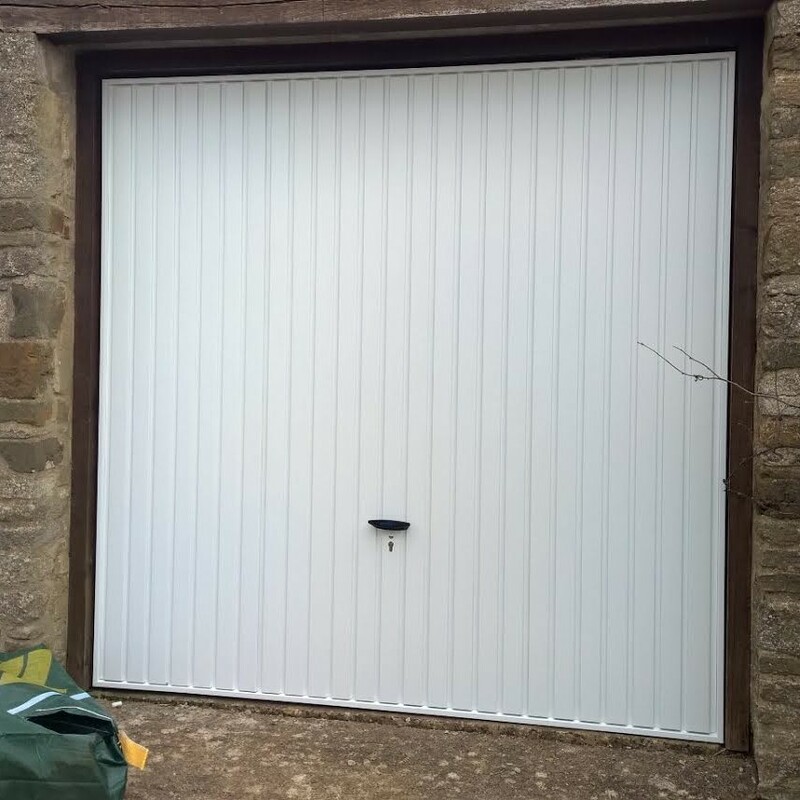 If you would like to upgrade your timber barn style doors, give us a call and we will arrange for Mark to visit to discuss your requirements and provide you with a no obligation quotation.